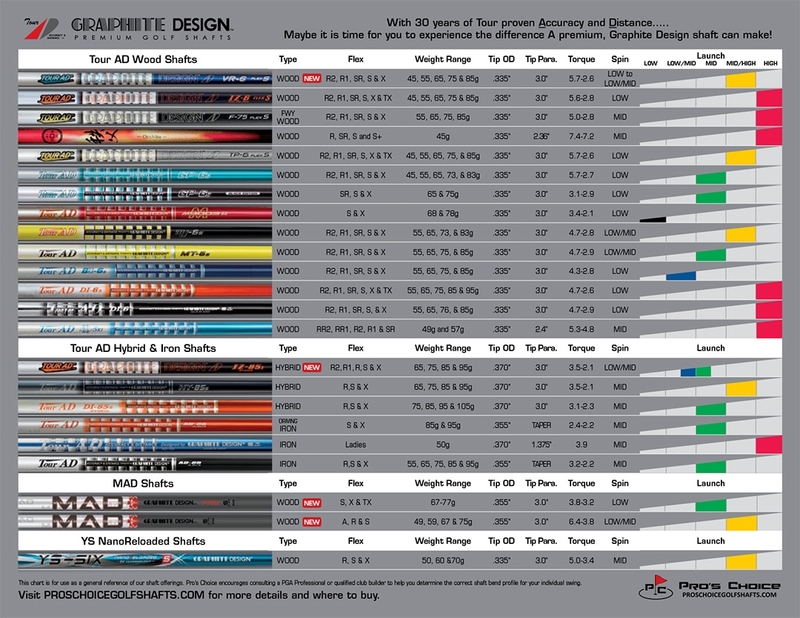 The Graphite Design Tour AD SL-II light weight wood shafts were designed with lower swing speed players in mind. The Tour AD SL-II series consists of two models, the SL-II 4 and the SL-II 5 and are both available in two colors choices of either metallic pink or metallic blue. The SL-II 4’s weigh 49 grams and are available in RR2 and RR1 Flex. The SL-II 5’s weigh 59 grams and are available in R2, R1 and SR Flex. The SL-II 4 RR2 and RR1 flex shafts are designed for players with driver swing speeds of up to 70 mph. The SL-II 5 R2 and R1 flex shafts would best fit players in the 61-85 mph range and the SL-II 5 SR (Stiff Regular) flex shafts are designed for swing speeds in the range of 85 to 95 mph. This new generation of light weight Tour AD shafts are designed to help golfers gain club head speed and thus ball speed which will achieve greater distance. As golfers learn more and more about the weights, flexes, performance and “feel” of high performance graphite shafts, the new Tour AD SL II series will provide golfers of all ages with a “Perfect Choice “. Designed to promote Mid High to High launch angles with Mid ball spin rates.